Lisa M. Gardner received her law degree from Hofstra University School of Law in 2008, with a concentration in Child and Family Advocacy. Since graduating, Ms. Gardner has practiced exclusively in the area of family law. She has represented clients through all stages of divorce, including negotiated settlements and trial. Ms. Gardner also has extensive experience in Family Court matters including child support, custody and family offense proceedings. Ms. Gardner has been recognized every year since 2014 as a Rising Star by New York Metro Super Lawyers. In 2015, Ms. Gardner was selected by Long Island Business News as one of the “Top 50 Women in Business.” In 2016, she received the Outstanding Women in Law award from Hofstra University School of Law, and the “Millennial Award” by Long Island Business News. 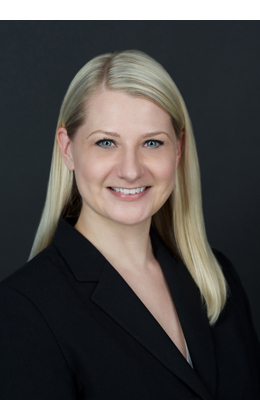 During law school, Ms. Gardner participated in the Child Advocacy Clinic where she assisted with the representation of children in abuse, neglect and special immigrant juvenile matters. Ms. Gardner also volunteered her time to the Courtroom Advocates Project, where she assisted victims of domestic violence who were seeking orders of protection. In 2007, Ms. Gardner served as an extern in the Matrimonial Part for Honorable Elaine Jackson Stack in the Nassau County Supreme Court. Prior to attending law school, Ms. Gardner received her B.A. in Political Science with a minor in History from the University of Michigan in 2004. Ms. Gardner is a member of the New York State Bar Association, Family Law Section.